Leading Brands and Agencies use Opinary to create direct relationships with up to 90 million Users per month. 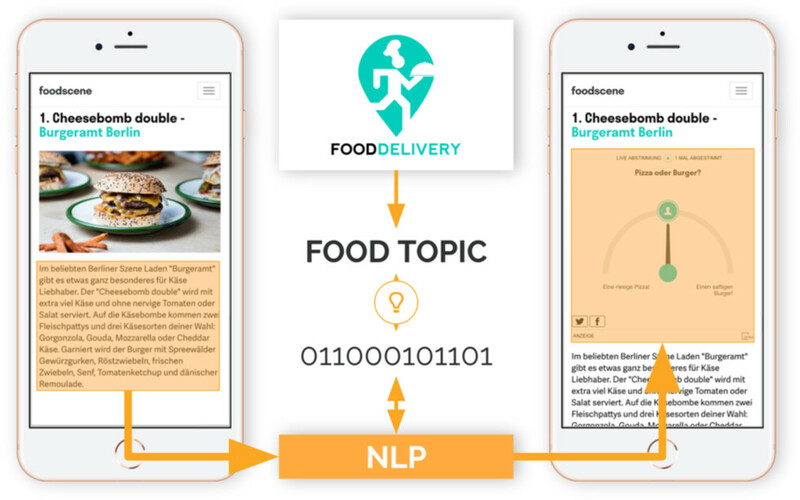 Our natural language processing algorithm uses deep learning to find the right context for your brand, no matter if it is on your own and operated site or premium publishers. Step 1: We make your topic come to life in the right interaction tool. Step 2: We place your branded tool in relevant articles as well as in the right content on your own and operated site. Step 3: Convert users by showing them personalized content, sign-ups and offers depending on their answer. 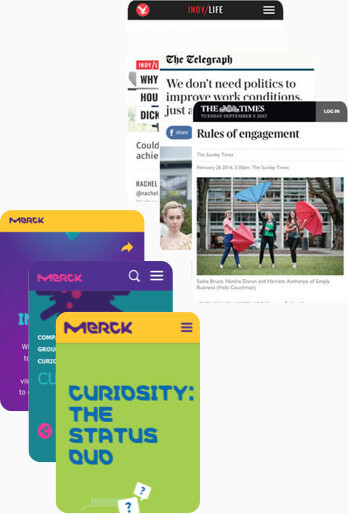 Our proprietary set of algorithms identifies the right environments by matching it with ideal content. Additional brand safety algorithms filter for negative sentiment and articles that aren’t brand safe. We reach 90m monthly users in Germany, UK and the US on premium publishers while generating engagement rates of 10% – up to 12x greater than typical social media performance. Opinary content can be created in minutes and is as easy to integrate as a YouTube video. Start reducing bounce and driving conversions through engaging content and a personalized user experience. Collect real, meaningful data from your users to drive behavioral insights, enrich your CRM data and retarget more effectively.